It was with immense shock and sadness that we received the news of Kofi Annan’s passing last month. He will be deeply missed as a friend, colleague and Chair of the Elders. His warmth and integrity were integral to his success as a compassionate leader and world-renowned humanitarian. Kofi was an exceptional person, who would often describe himself as a stubborn optimist. It was this attitude that allowed him to achieve many long lasting reforms during his two terms as UN Secretary General, and indeed during his eleven years as a member of the Elders, and the last five years as Chair. He worked with determination every day to improve the lives of others. His vision, which he repeated during his visit to Zimbabwe on behalf of The Elders, just weeks before his passing, was clear: “There is no peace without development, no development without peace, and neither peace nor development without human rights”. His values were self-evident, and he stuck to them. With this spirit in mind, during the next month my fellow Elders and I are undertaking several events, visits and meetings across the world, promoting positive change and supporting the work of others, across our initiatives on Universal Health Coverage (UHC), Climate Change and Access to Justice. Ban Ki-moon and I are in India this week to meet political leaders and health experts and encourage greater progress towards UHC. We will visit Delhi’s ground-breaking Mohalla clinics, which provide free consultations and essential medicines to some of Delhi’s poorest people. 63 million people in India are currently living in poverty because of healthcare costs. During our visit we will launch a new report calling for greater political commitment and public financing for UHC in India. India is not the only country whose citizens often fall into debt because of high healthcare costs. Following our trip, Ban Ki-moon will be addressing medical practitioners, politicians and health advocates in California, to make the case that UHC is needed just as much in the United States as in developing countries. He will be joined by Mary Robinson and Ricardo Lagos, who will go on to address those gathered for the Global Climate Action Summit in San Francisco. At the end of the month, several Elders will attend events in New York around the UN General Assembly. These will include sessions on climate change, human rights, and the Nelson Mandela Peace Summit, where Graça Machel will present the culmination of our #WalkTogether campaign. 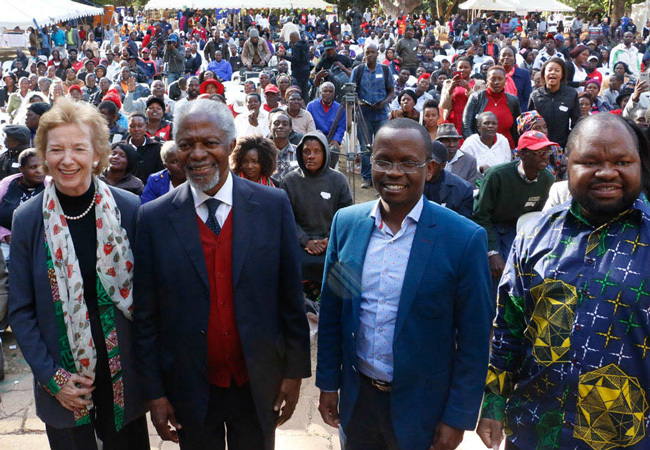 Throughout all these events, Kofi Annan and his family will be foremost in our thoughts. As I prepare to go to India, I am inspired once again by his stirring words: "it is my aspiration that health finally will be seen not as a blessing to be wished for, but as a human right to be fought for." 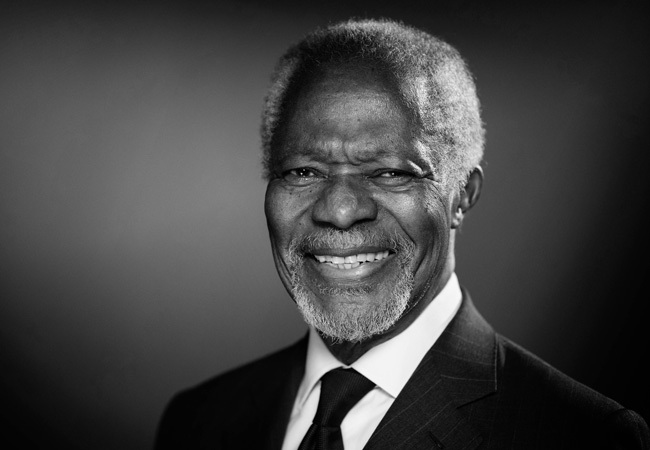 Kofi was a remarkable person who inspired many people throughout his life. All of us at The Elders have been overwhelmed by the outpouring of kind and heartfelt messages over the past few weeks. You can read a selection of tributes from Elders, Advisory Council and others on our website.